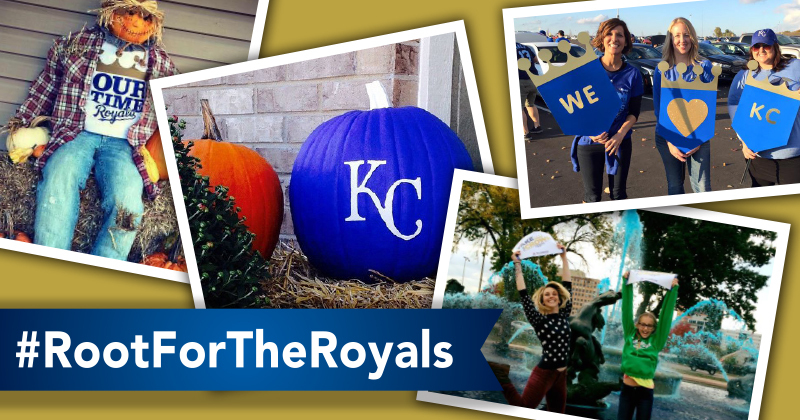 Share your pride for the Kansas City Royals using hashtag #RootForTheRoyals for a chance to win great prizes at attractions and destinations throughout KC! Thank you to all who entered. All prize winners have been notified on their winning post. For the names of the prize winners, mail a self-addressed stamped envelope within ninety (90) days after the end of the Contest to: “#RootForTheRoyals Contest,” Visit KC, 1321 Baltimore Ave., Kansas City, Missouri 64105.